UWC schools, colleges and short programmes offer a transformational educational experience for students from all over the world. UWC delivers a challenging and transformative educational experience to a diverse cross section of students, inspiring them to create a more peaceful and sustainable future. If you have teen children and if you are interested in a different, participative, critic, global, and responsable education, then I kindly invite you to watch this video about this amazing organization. 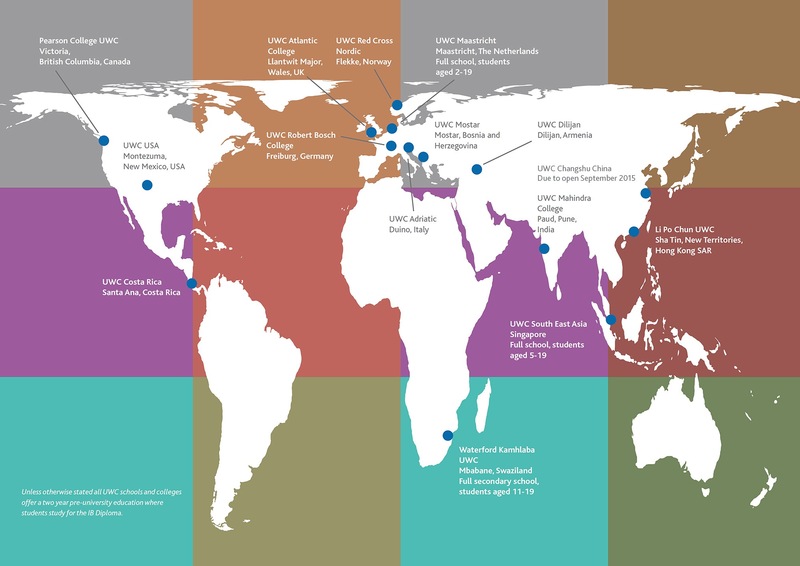 With UWC schools and colleges in 14 countries and national committees and selection contacts in more that 150, the international scope of the UWC movement is truly global. The UWC movement also consists of more than 50,000 alumni and other members in virtually every country in the world. develop a strong sense of their own identity and culture. UWC has a comprehensive scholarship programme and over 60% of national committee selected students accept either a full or partial scholarship towards their UWC experience. There is also some bursary support available to younger students applying to UWC schools. UWC bursaries, scholarships and fee structure aims to ensure a broad socio economic mix within the student body that adds value to the student experience and the organisation. At UWC’s website you can find further details from your national committees, and you can know how to apply to UWC in your own country. Also, you can get involved with this organization. UWC relies on the commitment of a network of volunteers, supporters, staff, students and alumni to achieve their mission to make education a force for peace and a sustainable future. Also, at their web you can find more information about their short programmes that take UWC’s mission and values to a wider audience. Most short programmes take place over 2 to 3 weeks in the months of July and August and cover topics including youth leadership, sustainability and intercultural understanding.